There are various methods for evaluating a polynomial. But perhaps one that may not have occurred to you is to build a difference engine out of lego. According to this story in Wired, that's the approach that Andrew Carol decided to take. Whether further lego difference engines will be built is not yet clear. 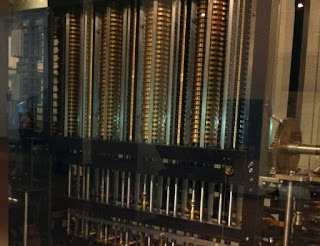 A difference engine is currently used in the banking sector as part of the processing of international transfers as, despite adding several days on to the time taken for transfers to complete in some cases, difference engines are deemed to be more reliable than conventional microprocessors. 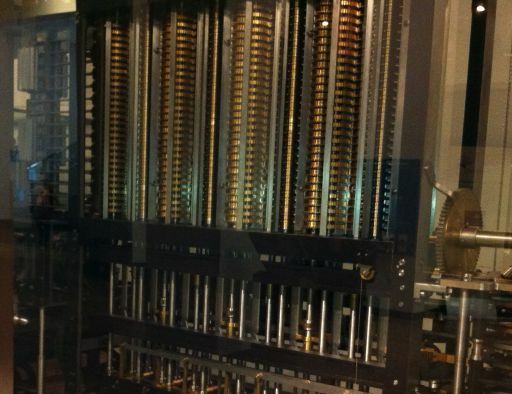 However, banking officials openly admit that the decision to use a solid gold difference engine has prohibited rolling out similar machines across Europe to speed up transactions. Now that this cheaper, lego version is available, industry leaders may be looking to see whether it has the reliability required to allow the rolling out of these cheaper machines and hence enable banks to speed up the processing of international transfers. However, it is unlikely that a decision will be reached before 2012. For the time being, those of us transferring money between accounts in different countries will have to continue to wait up to 5 days for transfers to complete. Have CAPTCHAs gone slightly too far...?